Edge grain, butcher block, random plank... what are these and what’s the difference? Since there are so many ways to construct a table, we wanted to bring some clarity to this topic. 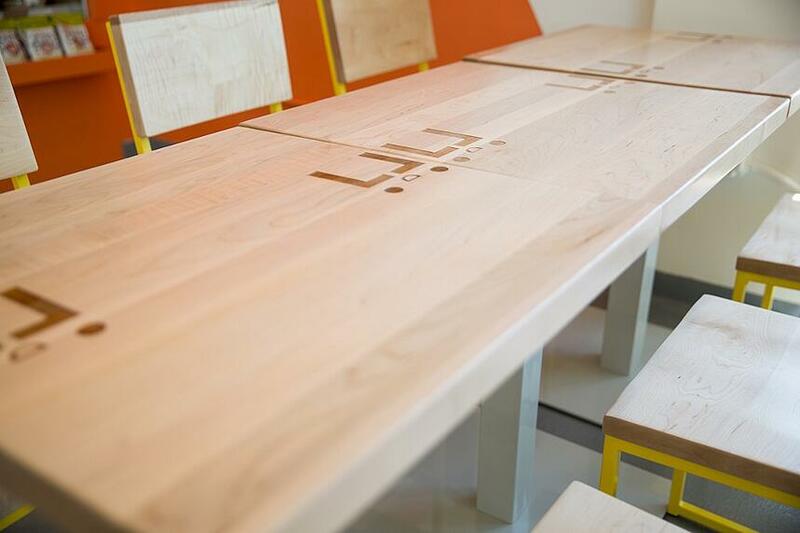 Below we outline common solid wood table constructions and how they are applied to our tables. Definition: Also known as “face grain,” random plank can be described as mixing varying widths of wood planks to create a diverse pattern. Generally, the coloring on random plank tables will be relatively even throughout. 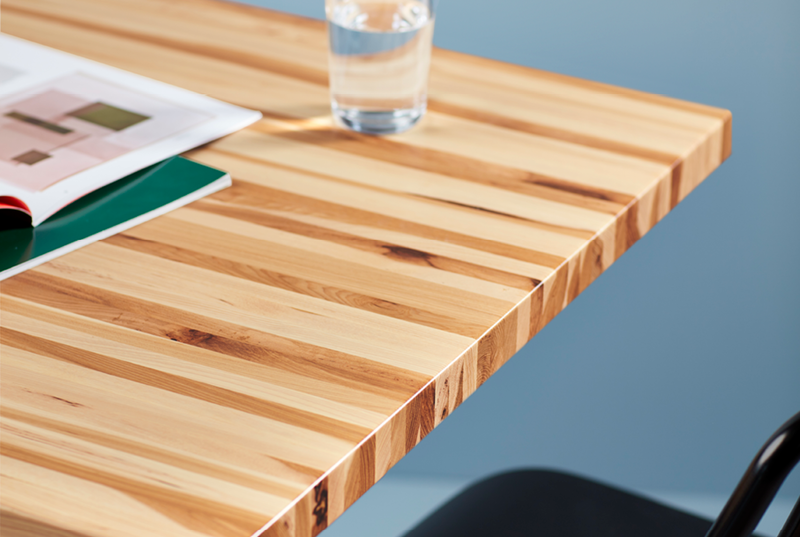 GRCC Standard: At Grand Rapids Chair Co, our random plank tables feature planks that vary from 1-3” in width. Although the widths of the planks differ, the length of the planks are all the same and run the length of the table. The coloring will also be relatively even throughout random plank tables. Our random plank tables generally measure around 1.5” thick. Did you know there are two basic styles of butcher block? It’s probably why there’s so much confusion about this topic! Let’s get down to the brass tacks on each style and our standards. 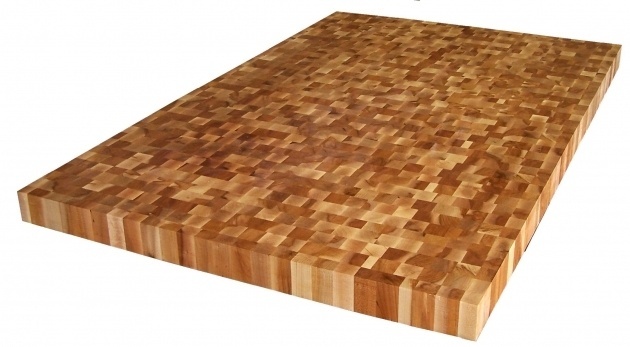 Definition: The first style of butcher block is called end grain (pictured above). End grain is the style you think of when you think of cutting boards or kitchen counter tops. End grain has that instantly recognizable checkerboard pattern and is generally very dense. End grain construction consists of multiple wood planks that are cut into small pieces and turned on their end. GRCC Standard: N/A. We currently do not and have not employed this style of butcher block at Grand Rapids Chair Co. for our wood tables. GRCC Species: N/A. We do not use this style of butcher block construction on our wood tables at Grand Rapids Chair Co. This is where it gets a little tricky! You ready? Definition: The second style of butcher block is called edge grain. What is so confusing about edge grain is that the very term has become synonymous with butcher block (which we’ve witnessed at our own company!). Generally, edge grain construction is when wood planks are flipped up on their edge (90 degrees) and glue is applied to the face (now the side of each slat). 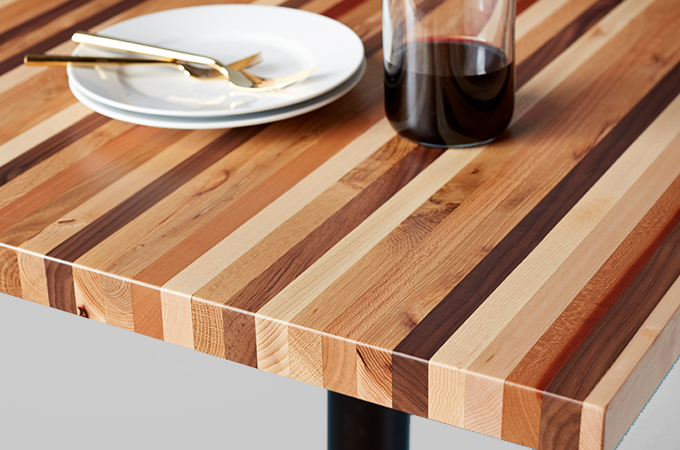 GRCC Standard: As a company, we have loosely used the term “butcher block” to describe the edge grain style and process. This is technically right and wrong since butcher block is an umbrella term. As described above, we also flip the wood planks up on their edge (90 degrees) and glue is applied to the face (now the side of each slat). The final product consists of planks that are all 2” wide that run the length of the table. The coloring will be more diverse than random plank tables. Edge grain tables also measure around 1.5” thick. Our new American Hardwoods collection was designed to give you the rustic look without sacrificing durability. 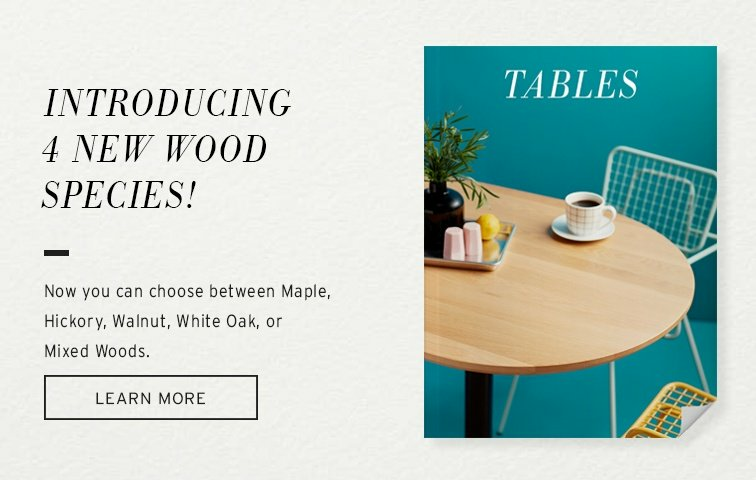 Whether you choose Maple, Hickory, walnut, Mixed Woods, or White Oak, we know you’ll love the finished product. For questions or samples, contact sales@grandrapidschair.com to get started.